Genetic testing is a laboratory procedure that looks at changes in genes. Typically, it involves a simple blood test. Different genetic testing methods are used to fully understand your child’s mutation (for example, full gene sequencing can reveal small mutations), and more than one test may be needed. As new therapies and disease management strategies targeting specific mutations are developed and become available, it will be increasingly important to know your child’s mutation. This will allow you and your child’s doctor to determine a path for care, whether that is managing the disease or participating in clinical trials. Speak with your child’s doctor about genetic testing to find out which tests are needed and how to understand the results. Duchenne is a genetic disorder that can be inherited. While it is possible for someone with no family history to have the disease, it’s most commonly passed down through families. To understand how the disease is inherited, we need to take a closer look at genetics. Chromosomes are the parts of our cells that carry our DNA. Healthy people normally have 46 chromosomes, divided into 23 pairs. These pairs contain all the instructions our bodies need to make us who we are. We inherit our chromosomes from our parents. One of these pairs of chromosomes determines if the baby will be a boy or a girl. Girls have two X chromosomes and boys have one X from their mother and one Y from their father. 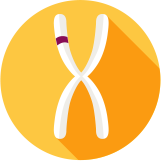 Duchenne is an X-linked disease, meaning that the genetic mutation that causes the disease is found on the X chromosome. 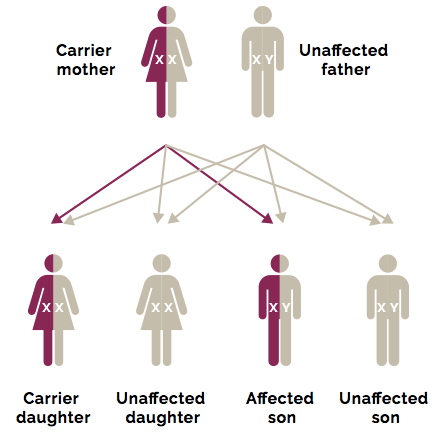 If a woman has the Duchenne-causing mutation in one of her chromosomes, she is considered a carrier. As a carrier, she likely has no symptoms of the disease, but she has the ability to pass it along to her child. It is not guaranteed that she will pass along the mutation. Typically, there is a 25% chance of having a boy with Duchenne, a 25% chance of having a girl who is a carrier, and a 50% chance of having a baby without the mutation. 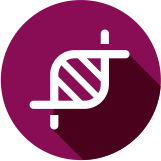 If you have a child with Duchenne, genetic testing (including carrier testing) can provide valuable information to you and your family. Once you have the results, a genetic counselor can help explain what they mean for your family.